Today’s dental treatments can help you preserve and improve your smile even after losing one or more teeth. However, your smile is healthiest when all of your teeth are natural and healthy, which is why preventing tooth loss is the better option, whenever possible. To do that, you have to know what your biggest risks of tooth loss are, and how best to address them before they become more of a threat. Today, we examine a few of the more common factors that often contribute to tooth loss, and what you can do to lower those factors and improve your chances of preventing it. When a tooth is accidentally knocked out of its socket (avulsed), the accident may or may not have been prevented. In environments such as extreme and/or contact sports, it usually is preventable with the aid of a custom-designed mouthguard that protects your teeth against most impacts. However, accidental trauma isn’t the only way to lose a tooth. For instance, if your tooth is extremely damaged and doesn’t consist of enough healthy, natural tooth structure to restore, then extracting it may be necessary. While severe structural damage and avulsion can lead to tooth loss, the most common causes of it are not usually so immediately obvious. For example, more people lose their permanent teeth to severe gum disease than any other condition. Gum disease may not seem directly related to your teeth at first, but as it progresses, it erodes your gums (periodontal tissues) and jawbone structure. This can leave your teeth without adequate support, causing some of them to fall out or require extraction. Gum disease and other chronic dental issues, such as progressive tooth decay, can usually be prevented or controlled with prompt, personalized treatment before they cost you one or more teeth. 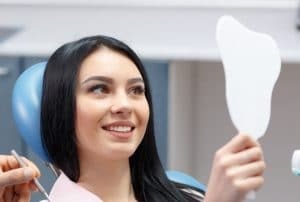 If you’ve already experienced tooth loss, then the absence of those teeth may be one of the biggest contributing factors to your future tooth loss risks. Losing a tooth and the root within your jawbone can lead to a host of increasingly worse dental health complications, including the weakening of your jawbone. Stimulation in your jawbone diminishes when you lose teeth roots, and this can lead to a loss of mass and density that leaves your jaw unable to support the rest of your teeth. In many cases, replacing them with dental implants helps stem this loss and reduce your risks of losing more teeth. Some causes of tooth loss are obvious, such as accidental trauma, but others may not seem so directly related. For more information, schedule a consultation by calling Syosset Dental in Syosset, NY today at 516-433-2211 or 516-921-6930.